Hong Kong is a city that imports 90% of its food and as such is an extreme example of a food dependant enviornment. This is partly due to its physical geography because the landscape of Hong Kong is very rocky, there are lots of mountains and a lot of islands. It is also partly due to geopolitics whereby the boundary between Hong Kong and China means that the overall space of the SAR is small and the political arrangement imposes a national separation between the city and what would normally be its hinterland (though this is heavily industrialised and urbanised due to the development policy of the PRC). Its food dependance is also linked to the ways in which land is owned, valued as a commodity and source of rent fueled wealth for both the SAR government and those who develop it. Farming persists in the SAR, however, and often in ways that are creative, inventive, and often very progressive. There is, for example, an organic farmers guild. Indeed, according to the AFDC office that supports organic farming, the Organic Farming Support Service, estimates that there are 480 organic farms operating in the SAR. Many offer box schemes, some sell in the public markets (you can find stalls at the Kowloon City Market, Tai Po Market, Tai Wai Market, Shatin Market, Graham Street Market, and many others within the city), while others sell through special organic farmers markets such as the one that operates on Wednesday and Sunday at pier 7 or the East Island’s Market, which operates on Sundays in Quarry Bay. Many of the farms will also allow visitors (see this reprint of a SCMP article and also this article by Chris Horton, which outlines the threat to farming in the SAR). In addition to traditional, on the ground, horizontal farming, there is also a vibrant and developing vertical and rooftop farming movement in Hong Kong. Hong Kong Farm and Hong Kong Honey are joint enterprises concerned with the community, technology and design of rooftop farming. On a larger scale, IPC Foodlab, in addition to buying from organic farmers has a vertical farm in Fanling where they are developing vertical and rooftop gardening technologies that utilise soil (rather than hydroponics) in a repurposed industrial unit. The force behind IPC Foodlab, Louis Giroud, spoke with passion about how they are also testing the food growing technologies for researchers in the US and in China in order to change the way the world eats. 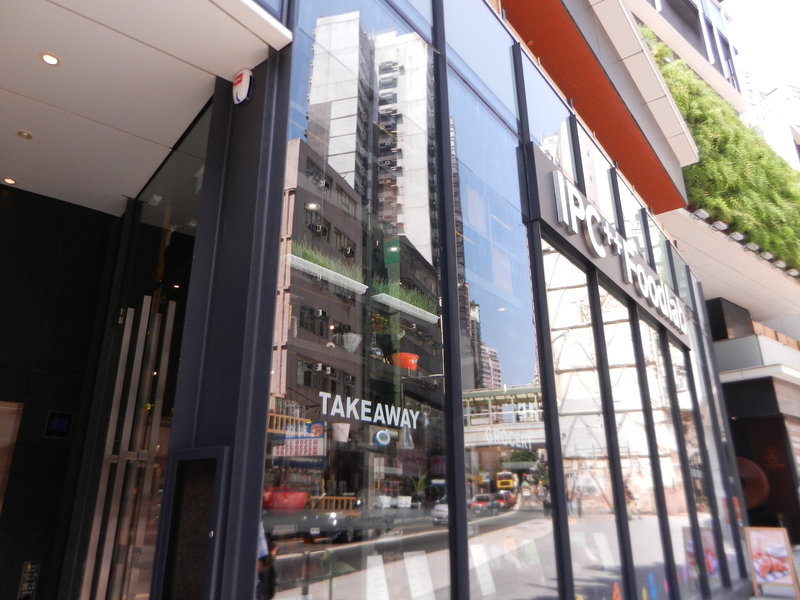 IPC Foodlab also demonstrate that these technologies can be used effectively to support commercial enterprises as the food grown is used in the Foodlab’s restaurant on Caine Road just off the midlevel escalator. School engagements to change understanding and behaviour. Increasingly schools are engaging students in food growing activities. Many Hong Kong schools are also doing this sort of work. I want to highlight two such projects: one at HKBU (university students) and the second at Island School (primary and secondary school). Recently the university system in Hong Kong underwent a radical change whereby an additional year was added to all undergraduate degrees. This additional year was added to the bottom of the degree programme and includes a number of modules referred to as GE (or general education) modules. These modules aim to expose students to disciplines at university level that are not their major. Food has proven to be a good topic around which to organise teaching and most of the HK universities have one or more modules introducing students to various different disciplinary foci from Philosophy to Biology to Humanities and Creative writing. Daisy Tam in HKBU’s Humanities and Creative Writing Department has taken this one step further and developed a hands on and community oriented approach in conjunction Time to Grow. Time to Grow is a business that supports the efforts of schools, businesses, and even individuals in their efforts to establish their own roof-top growing and learning spaces. 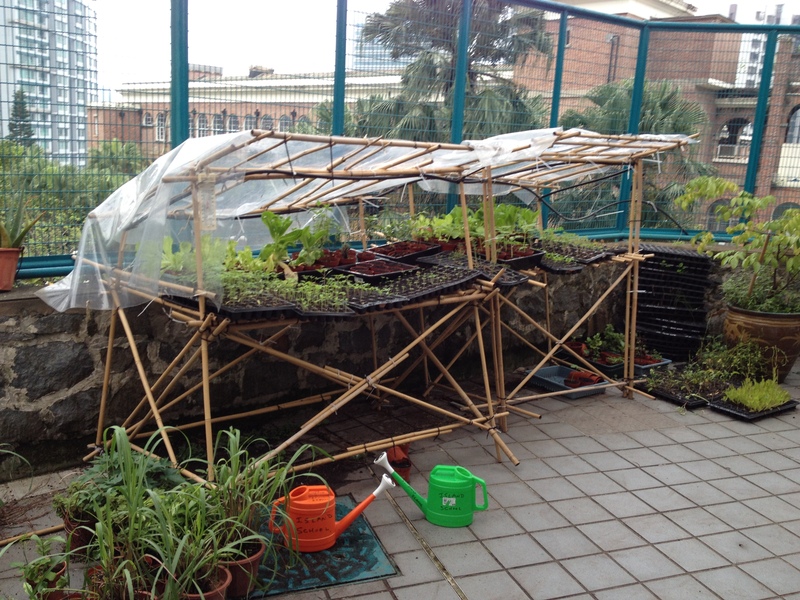 The project at HKBU is not just about engaging university students but also involves workshops with low income communities that demonstrate how to do small scale, urban farming on the cheap. The participants are shown how to use recycled objects, such as pallets and plastic water bottles, to build green growing spaces that will produce food. One of the installations is located on the HKBU campus and has productively grown lettuces, herbs, and other greens that were then converted into salads for a shared student meal. Younger students in many schools in Hong Kong are also being given the opportunity to have hands on experience of growing food at school as they learn about the issues of food security and food systems. One school that is taking this to the next step is Island School. Island School is currently planning a new building that will radically change the learning environment for its students. Much of the school will be green as plants are to be incorporated into the fabric of the school itself. Involving students, teachers, and parents in the design process, the new school design will have greater capacity for interactive and enquiry based learning activities (you can see the blog for the redevelopment here). As part of this the head of Geography, Howard Davis, has asked for the new design to include a shed, which in practice will mean a shed and also growing spaces, including vertical growing spaces in the new school grounds. Mr. Davis is not, however, waiting until the new school to start students learning about food geographies. He has colonised an area of the current school grounds for growing projects with year 10 geography students as they learn about environment an population issues. The effects of these interactive engagements are that they make the realities of the food system less abstract for students as they can begin to understand the time, effort, and luck involved in producing successful crops as well as the ways in which food production incorporates more than just sunlight, water, soil and a plant. Students are, for example, having to grapple with the difficulties of composting, volume, and design in their food growing efforts. They are also gaining confidence and know how so that they can translate growing food at school to growing food at home, and doing so in a compact and highly dense urban environment. 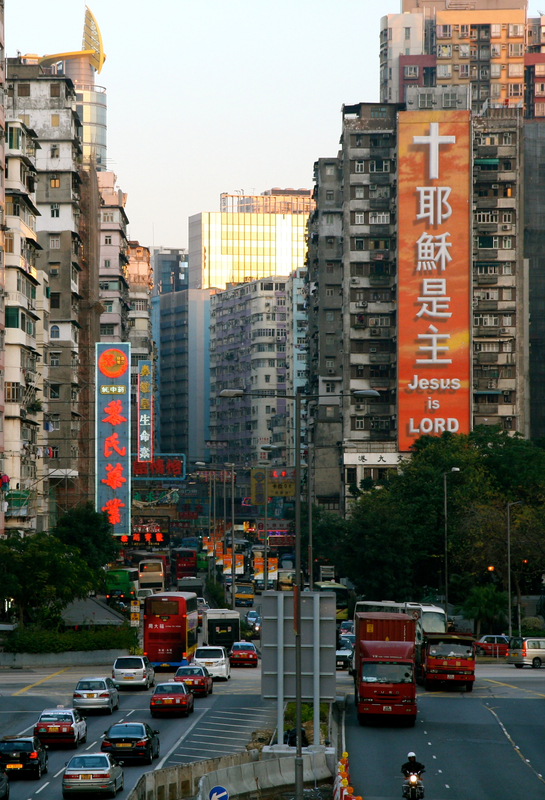 In Hong Kong volunteerism is incorporated into the institutional fabric of the city. This seems a somewhat odd statement given the neoliberal nature of the place. Indeed neoliberalism seems to invoke ideas of selfish capitalism and individualism, though one could argue that a reliance on voluntary engagement is part of the neoliberal ideology (remember Bush’s “One Thousand Points of Light”?). But volunteerism seems to be something people do in Hong Kong. Separate from donations, which are tax deductible and which is why one sees so many buildings named after wealthy benefactors, voluntary activity is less easy to quantify for tax purposes. What is more, it is the case that people of all ages and backgrounds participate (though whether entirely voluntarily or not is perhaps another issue). School children are required as part of their school activities to do some voluntary work just as finance executives give their time toward supporting the activities of the myriad of organisations who have charity status within the city. On top of this, many of these charities, while relying on voluntary labour for much of the everyday work, are also sites of employment. Anecdotally, there appears to be more employment opportunities for trailing spouses in this this sector. But to cut to the chase, in Hong Kong, emergency food relief (e.g., food banks) is entirely administered by a network of charity organisations and staffed by a combination of paid employees and volunteers. As might be expected, sometimes the activities of these charities are straightforward–food packages made available to low income families. But, equally as one might suspect, the organisations are innovative and dynamic in their approach to solving the food security problems of Hong Kong poor. One such organisation is Feeding Hong Kong. A key, and defining aspect of Feeding Kong Kong is their concern with reducing food waste as they also meet the needs of the city’s hungry. As such, the charity is not itself a food bank, but instead acts as a re-distributor working between commercial organisations and the food banking charities themselves. Along with the usual canned goods, which are collected not through food drives but from retailers, wholesalers and manufacturers, there is also fresh food such as bread, vegetables and fruits. As such the food offerings supplied from Feeding HK are more nutritious (less salt and other additives in fresh food than in processed food) and more in tune with the local dietary traditions–fresh food is central to a Cantonese food way. On top of this Feeding Hong Kong has bulk storage facilities (refrigerated as well), thereby enabling large scale donations from corporate organisations that would otherwise overwhelm small scale charities. Feeding Hong Kong links up 25 different food banking and free meal charities (some religious and some not) and 60 different food companies (from restaurants to food manufacturers). Feeding Hong Kong, in short, enables small charities to benefit from economies of scale. 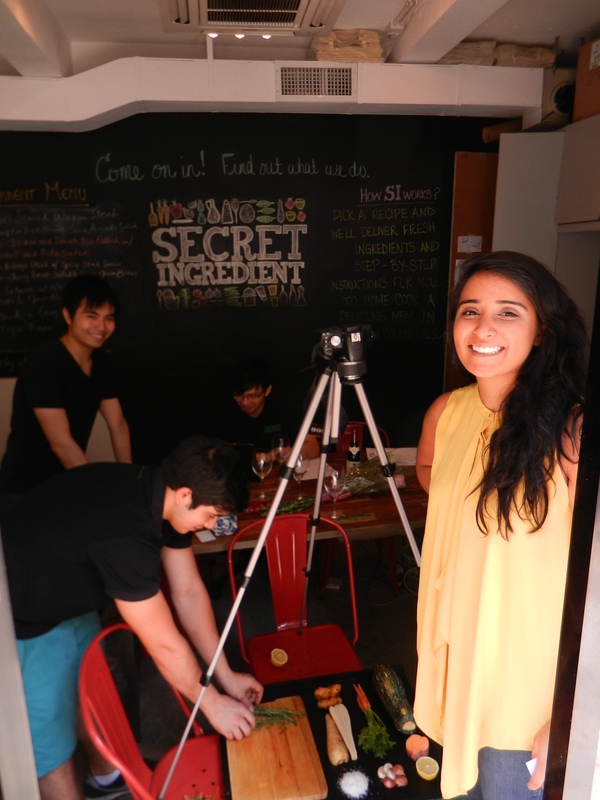 The Chefs at Secret Ingredient volunteer with Feeding Hong Kong. Feeding Hong Kong’s activities are not just about re-valueing food things from waste back to being food (what they call food rescue), they also do a number of other interventions aimed at improving knowledge about how to engage with a food system. They also link up chefs with food charities in order to help develop recipes and meal plans, offer cooking lessons and donate old cooking utensils (see more about this here). They encourage edible gardening, which is why you will see their involvement in some of the school garden schemes. Not only does edible gardening enable some degree of self-sustainabilty for food provisioning, but surplus greens from these school and corporate gardens are collected and redistributed through their network. And finally, Feeding Hong Kong has a very useful web site with information about food hunger, waste, and food rescue. A just and sufficient food system? It would be great if there was enough food that is culturally appropriate, healthy, affordable, and accessible to everyone. The fact is, there has never been a fair or just food system, either globally or at the urban scale, that provides year round and sufficient quantities of food delivered via a socially just platform. Subsistence farming is risky and does not provide adequate surpluses for those who are not engaged in farming activities. Likewise commercial agriculture is part of a capitalist system that survives on making a profit, which in turn renders food unaffordable to some. Although Hong Kong is an extreme example, it also shows that food insecurity is derived from dependence and as such is an issue that affects wealthy and poor. 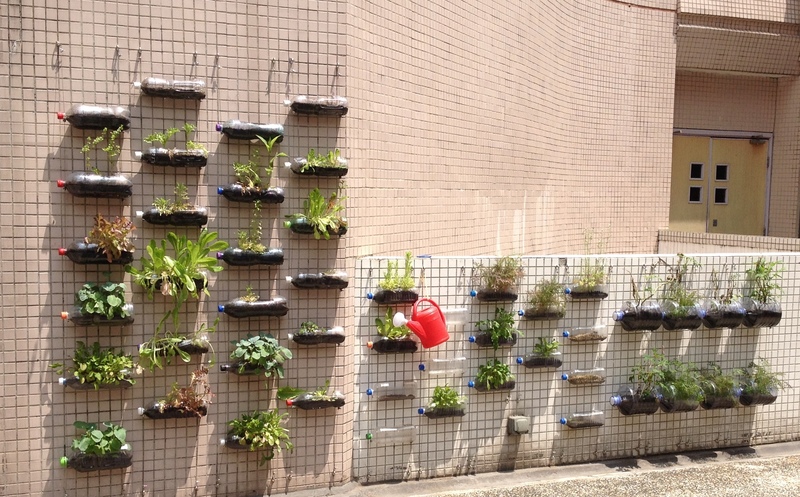 What these examples of activity in Hong Kong are also demonstrating, however, is that there are ways where some measure of food security can be reintroduced into an urban food system for all its residents and all that is required is a bit of creativity. This entry was posted in Food, Hong Kong and tagged food, food futures, food re-distribution, future of food, Hong Kong, innovation, urban farming, urban food by geofoodie. Bookmark the permalink. 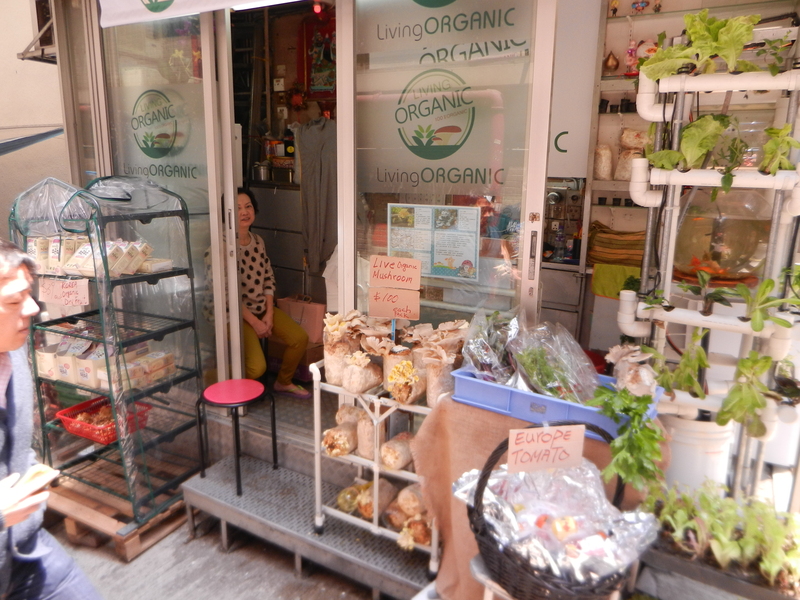 The living organic shop in Hong Kong where is that? I am trying to find out how to grow my own mushrooms here in Hong Kong and think this place would be good start. please email me the details. Good blog on Hong Kong and its food. Really nice by the way! I no longer live in Hong Kong. I think there is an organic mushroom shop on Hollywood road just above the market. There is an organic association which has a web site. The organisers of Islands east market can provide also probably more info and would be a good contact. They have a Facebook and are also google-able.